November is approaching fast bringing zest of festival time in India. Everyone is busy in shopping and other wholesome preparations for the most awaited festival of lights or commonly called “Diwali Festival”. If you are thinking of celebrating this Diwali in a most unique way, then we invite you for an exclusive Diwali celebration in our resort at Karnala during first week of November 2013. At Panoramic resort in Karnala we have dazzling Diwali celebrations every year but this year’s celebrations will be marked with introduction of some new concepts. 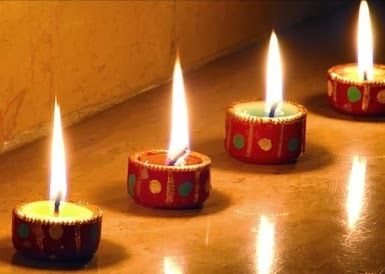 Getting impressed with last years stunning response from the celebrating crowds during Diwali, this year we are geared up with more enthusiasm to make some awesome arrangements for our well wishers as well as groups and families who arrive here for rampant Diwali celebrations that too in a descent atmosphere. Along with the traditional celebrations we will be arranging some surprise events to dissolve anxiety of the celebrators in some of the traditional as well as most modern ways. Our karnala resort being most spacious among the resorts in Panvel it keeps a capacity to held massive entertainment bonanza on the background of live music and an exotic lighting arrangement. Among the visitors since majority are families and youngsters more focus will be kept on activities like singing, group dance and entertainment games which are continued till late night. This year we have added more fun and entertainment games to surprise you at the resort. We have developed a more merrymaking and partying atmosphere at the resort for our visitors, come and get the best return for your money by joining these exclusive celebrations, which are open for all ages and many tastes. Come and get the taste of exclusive varieties of sweets and other traditional delicacies prepared with high cooking standards. Come and share your happy festive moments in a classic atmosphere located on the backdrop of huge mountains and green pastures. We promise these celebrations to be the best among Diwali celebrations in Panvel.